bruno patchworks hovart is one of the top producers of todays groove music scene. after playing as a bassist and guitarist for various bands, he started producing in the mid-nineties and has kept on mixing todays technologies with the raw spirits of house, electronic, disco, funk, soul, reggae & jazz musics golden years since then. 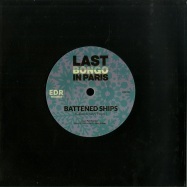 following the trail of success left by his various projects as patchworks, and under many aliases, hes proved his musical ubiquity and unexpectedly stroke in various genres. today, hes back under the edr records umbrella, following up to his various ep for the label, and meanwhile pursuing a comeback to his early love for house music. 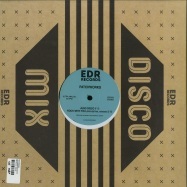 many house music diggers would indeed remember that before favorite recordings was launched in 2006, patchworks and pascal rioux produced many deep-house tracks on the rotax disques imprint. besides since the late 90s, patchworks has also collaborated with labels such as q-tape, or still music, delivering many clubbing hits such as million toes, sugar, or minautor. on this 5 tracks ep, he delivers 4 killer tunes again, inspired by the michael jackson’s classic hit, rock with you. bruno “patchworks” hovart is definitely one of the top producers of today’s groove music scene. after playing as a bassist and guitarist for various bands, he started producing in the mid-nineties and has kept on mixing today’s technologies with the raw spirits of house, electronic, disco, funk, soul, reggae & jazz music’s golden years since then. following the trail of success left by his various projects as patchworks, and under many aliases, he’s proved his musical ubiquity and unexpectedly stroke in various genres. for this new ep, he’s back under the edr records’ umbrella, following up to his acclaimed eps called give my love (edr019) and dedications (edr021), and meanwhile pursuing a comeback to his early love for house music. 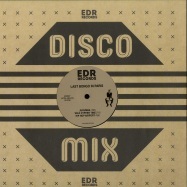 many house music diggers would indeed remember that before favorite recordings was launched in 2006, patchworks and pascal rioux produced many deep-house titles on the rotax disques imprint. besides since the late 90s, patchworks has also collaborated with labels such as q-tape, or still music, delivering many clubbing hits such as “million toes”, “sugar”, or “minautor” to name just a few. 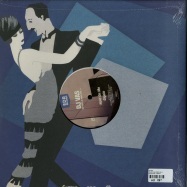 on this 4 tracks ep, he again delivers 4 dancefloor killers, ready to convince any listener from old-school “footstomping” aficionados, to detroit house heads. for the occasion he also invited his long time mate eric duperray aka mr day, who brings his soulful vibes to the mix. parisian djs duo cléon & jazzy pidjay are back as last bongo in paris, with a hot new 7inch filled with latin & brazilian soul-funk vibes... with raw drums, heavy breaks and jazzy flavor, these 2 new tracks should please all groove lovers for christmas!! cléon & jazzy pidjay have been united through their love of music and hip-hop culture for a while. dj cleon is one of the finest producers in france for breakdance battle breaks, also known as a fine wax digger, mixing all kinds of music together, such as disco, funk, soul, jazz, break-beat, hip-hop and more old and new records. alongside his mate jazzy pidjay and his great production and mixing’ skills, they give a new dancefloor life to hidden and forgotten musical treasures, through funky uptempo tracks. 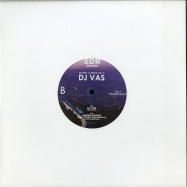 dj vas is back with another killer volume of his re-edits & more series! 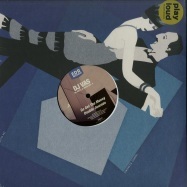 dj vas is primarily known as a member of pioneering 90s french house band, kojak. when the 1.0 french touch wave was blowing the world, kojak was one of the fourth most popular acts in france alongside daft punk, air or cassius. now more focused on his solo career, this talented dj, producer and sound engineer maintains a stylish wide musical vision, and manages to find the perfect balance between styles. for this specific project, he practiced the very special game of soul-funk and disco edits. 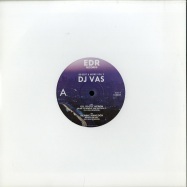 following the success of his prior efforts (edr017, edr018, edr022 & edr024), dj vas is back on edr records, pursuing the series with this fifth edition: 4 new tremendous reworks, finely cut and re-produced in complete new versions, and filled with this classic french touch twist! his production is a brilliant mix between fine techniques, deep respect of the originals and real personality. in short, dj vas music is contagious, warm and always sharp! dj vas is primarily known as a member of pioneering 90s french house band, kojak. when the 1.0 french touch wave was blowing the world, kojak was one of the fourth most popular acts in france alongside daft punk, air or cassius. 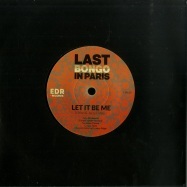 they built a strong reputation with more than 25 singles, 2 albums, 1 dj compilation and more than 30 remixes with amongst them the famous one for “deep inside” by mary j blidge. now more focused on his solo career, this talented dj, producer and beatmaker maintains a stylish wide musical vision, and manages to find the perfect balance between styles. 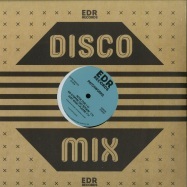 for this specific project, dj vas practiced the very special game of soul-funk and disco edits. following the recent acclaimed release of his re-edits & more vol.1 (edr017), he’s now back on edr records with a second volume even hotter: 4 new tracks made for the dancefloor, finely cut and re-produced in complete new versions!! his production is a brilliant mix between fine techniques, deep respect of the originals and real personality. and with their new fixed tempo, these forgotten treasures should quickly find a new life close to modern productions. in short, dj vas music is contagious, warm and always sharp! !